Liverpool is definitely not renowned for its delicate, exotic cuisine. Not in the grand scheme of traditional things anyway. In fact, if you’re not from my neck of the woods, you probably imagine we all spend every evening tucking into a big old bowl of scouse with a slab of bread & butter on the side but we can refine our palates from time to time, I promise. 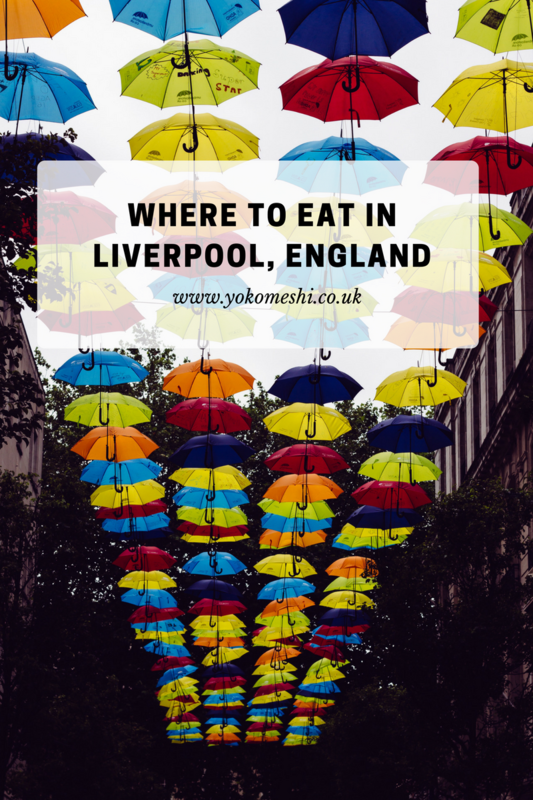 So when I don’t feel like filling up on meat ‘n’ spuds in the comfort of my Liverpool (Wirral) home, I venture into the very heart of the city and show my favourite independent eateries some TLC. Now I’m no anti-chain protestor and I love a cheeky Nando’s as much as the next guy but the Liverpool independent scene really is something to behold. Whenever anybody asks me where to eat in Liverpool (and believe me, they often do) I always, always recommend Mowgli. It’s getting a bit embarrassing actually… I wouldn’t be surprised if they take a restraining order out on me soon. I just can’t get enough of the traditional Indian street food though. 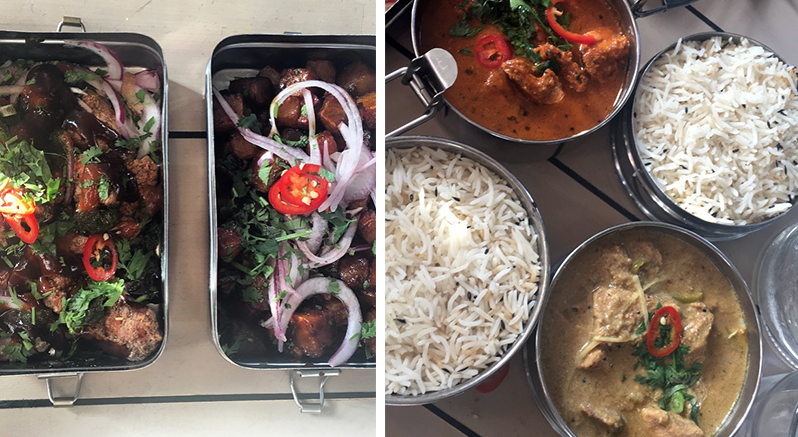 From Yoghurt Chat Bombs and Himalayan Cheese on Toast to Bunny Chow and a variety of vegetarian tiffin boxes, Mowgli has contemporary Indian dining down to an art and it’ll blow your perceptions of Indian food right out of the water. 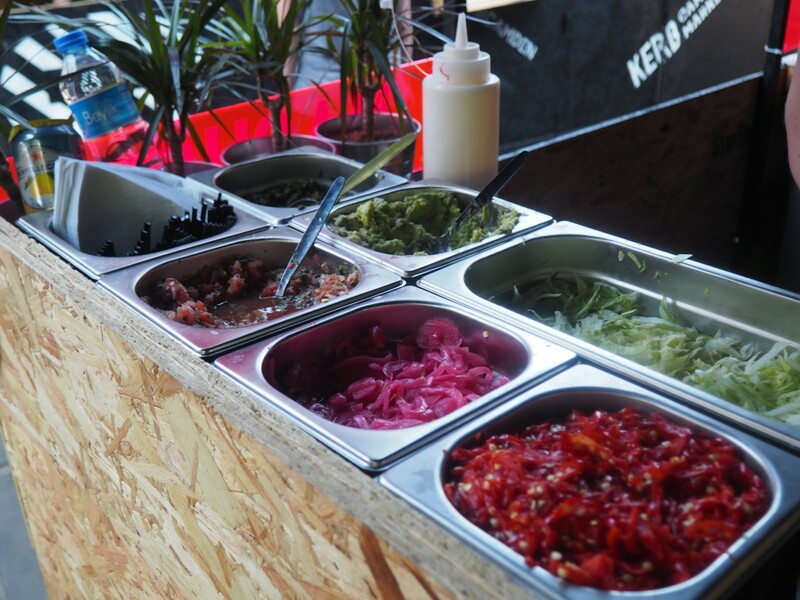 If it’s Mexican food you’re after, then please do not miss out on Lucha Libre. Burrito, tacos, quesadillas, enchiladas, chilli, churros and PLENTY of tequila-based cocktails, this is a real taste of Mexico but with all of the urban edge and attitude to go with it. I usually go for the Cali Steak Burrito (spicy pulled beef, guac, cheese, sweet potato fries but sans lettuce) and chase it up with a side of dirty, Piggy Piggy Fries. They also do a mean Mexican breakfast I’m told but I’m yet to try it so if you’re planning a trip to Liverpool any time soon, book a brunch date at Lucha and be sure to tell me all about it! Attached to one of the most popular bars in the city right now (The Merchant), it comes as no surprise that this bad boy has made quite a name for itself. Probably snapped on more Instagram accounts than Fenty Beauty and rightly so, Nightcrawler Pizza serves by the slice until the wee hours. With marble décor and neon pipe lighting too boot, this is one of the coolest hangouts with a bloody good pizza repertoire to go with it. When I’m not ranting and raving about Mowgli, I’m telling anyone who’ll listen about how bangin’ Leaf is. 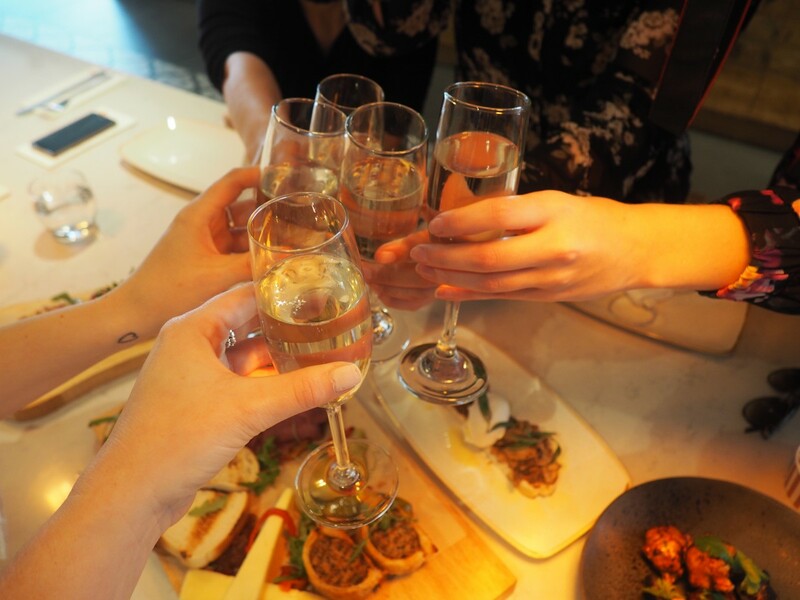 Based in Liverpool’s arts quarter on the famous cobbled Bold Street, Leaf plays host to all manner of beast from live music to book clubs and Pudding Club but it’s also home to some of the most wholesome grub in town. Through breakfast, lunch and dinner (and all of the snacks in between) Leaf has never let me down. 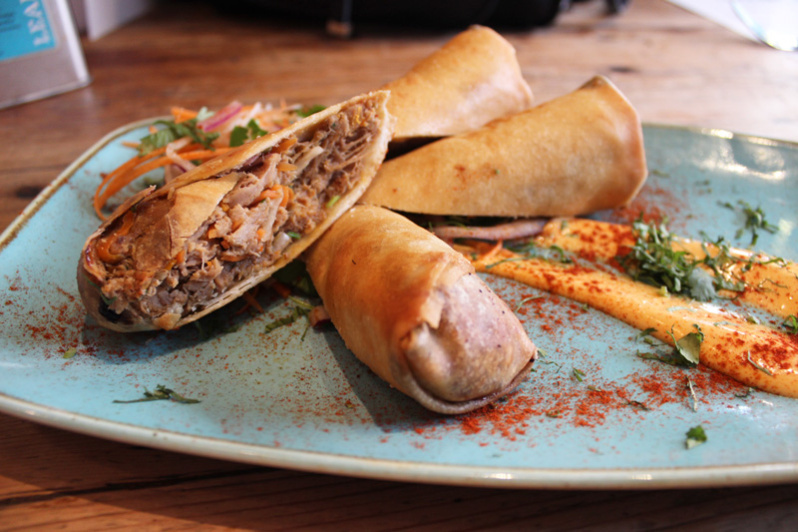 I’m No.1 fan of their Moroccan Spiced Lamb spring rolls and their vegetarian breakfast. Seriously good stuff. If you’re in Liverpool, you absolutely must take a stroll along Hope Street, which is the pretty little town street that connects each of our jaw-dropping cathedrals. When you’re done with your meandering, be sure to stop off at Host which sits somewhere in the middle of the street just next to the famous Philharmonic Hall. Here you’ll find what, in my opinion, is the best Pan-Asian food in town. It’s primarily Thai-based menu is honestly to die for and if you like a bit of spice in your life, then I would 10/10 recommend. 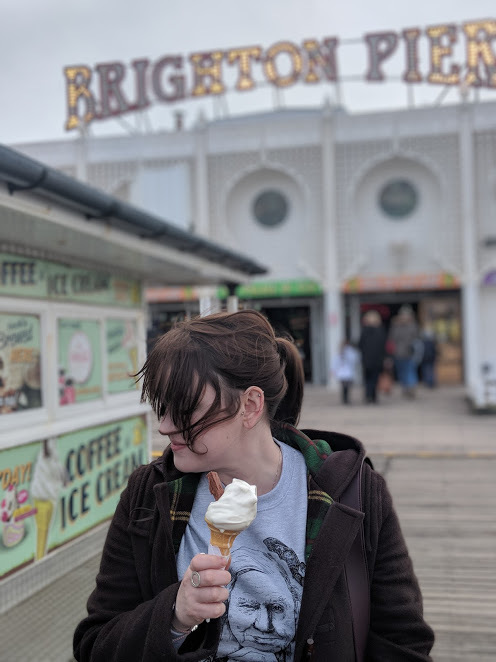 This post was written by Liverpool food and drink blogger, Steph aka Hungry Harriet – serial snacker, a compulsive cocktail sipper and part-time gluten dodger. Find her over on Twitter and Instagram where it’s all things reviews, recipes and eating like the calories don’t count.